Curious about those friends you see flying upside down or looking for new ways to stretch & decompress? Ready to take your yoga practice to new heights in a safe and supportive environment? Join us in this foundation level workshop that focuses on the healing, connecting and transforming practice of AcroYoga’s Therapeutic Flying & traditional Thai Yoga techniques. Learn to breathe together, build trust and play! 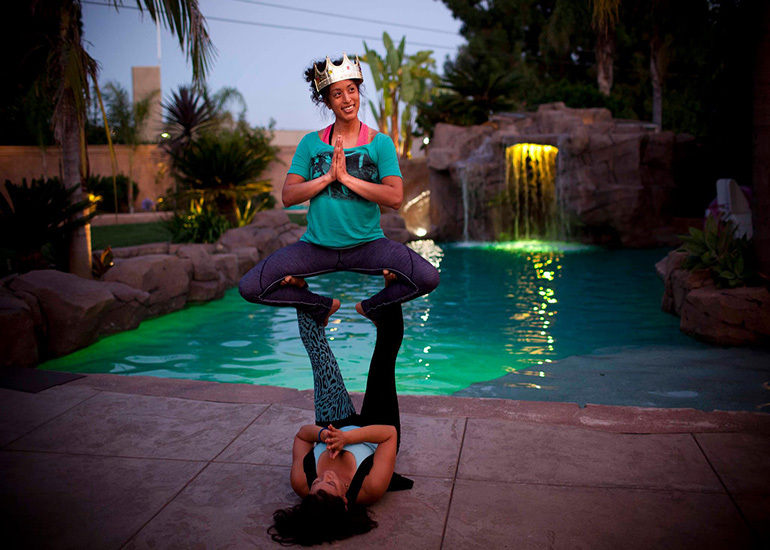 Strengthen aspects of communication, loving-kindness & fun, all later reinforced in the acrobatic side of the practice. Level: Open to all levels. No need to come with a partner as we will all be working together. Requirements: An open mind. No experience in fitness training or yoga is required. Price: 325 SEK Drop in and 220 SEK if you invest in a 10 class pass.